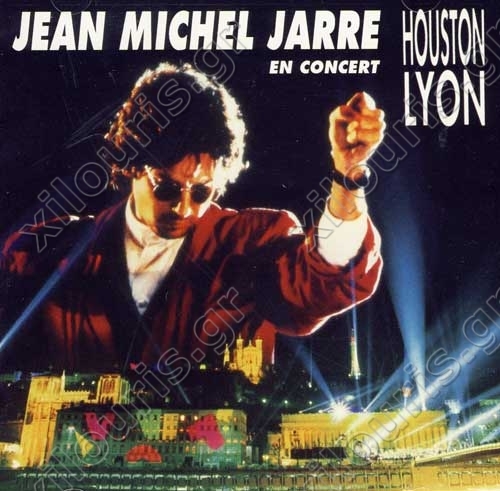 En Concert is an energetic live album with half the tracks played in front of Houston, TX, and the other half played to a crowd in Lyon, France. Jarre ignites the crowd in both cities, letting loose on a multitude of synthesizers and sequencers while playing his classics like "Oxygene V," "Magnetic Fields I," and "Equinoxe V." His sonic display in front of the French crowd is the more spirited of the two, since Europe is where his fan base is the largest. Jarre kept many of his slower mood pieces off of this album, which is rightly so. His quicker, more robust pieces seem to gain momentum as he dazzles the audience with his electronic sweeps and sharp stabs of brilliant synth. The lasers and lights can almost be heard piercing the night sky on "Rendez-Vous II" as Jarre ceases to limit himself to only a few instruments. Both performances are outside, so there are no walls restricting the music, which, believe it or not, can be felt throughout the album. The sounds that radiate from Jarre's keyboards sound large and expansive, capturing the live atmosphere and dynamically unleashing it onto disc.